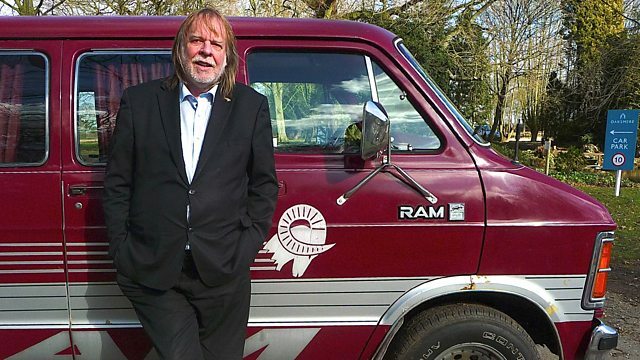 Rock legend and tour bus aficionado Rick Wakeman takes us on a trip through the decades in a first-hand account of rockers on the road from the late 50s to the 80s and beyond. It's an often bumpy and sometimes sleepless ride down the A roads and motorways of the UK during the golden age of rock 'n' roll touring - a secret history of transport cafes, transit vans, B&Bs, sleepless roadies and of loved ones left at home or, on one occasion, by the roadside. And it's also a secret history of audiences both good and bad, and the gigs themselves - from the early variety package to the head clubs, the stadiums and the pubs. This is life in the British fast lane as told by Rick and the bands themselves, a film about the very lifeblood of the rock 'n' roll wagon train. With members of Dr Feelgood, Suzi Quatro, The Shadows, The Pretty Things, Fairport Convention, Happy Mondays, Aswad, Girlschool, The Damned and many more.